Andrew Ornoch and Jorg Van Nieuwenhuyzen had two different paths on their journey to professional football. Andrew grew up in Toronto, Canada playing for local amateur club teams before earning a soccer scholarship to study at the University of Detroit Mercy. By the age of 20, Andrew was playing professional football in Hungary, then Denmark which led to the opportunity to play in the Netherlands. Jorg Van Nieuwenhuyzen grew up in Holland where he would begin his development early at a local amateur club before entering the youth development set up of professional Dutch club RBC Roosendaal. Jorg made his professional debut at age 18. 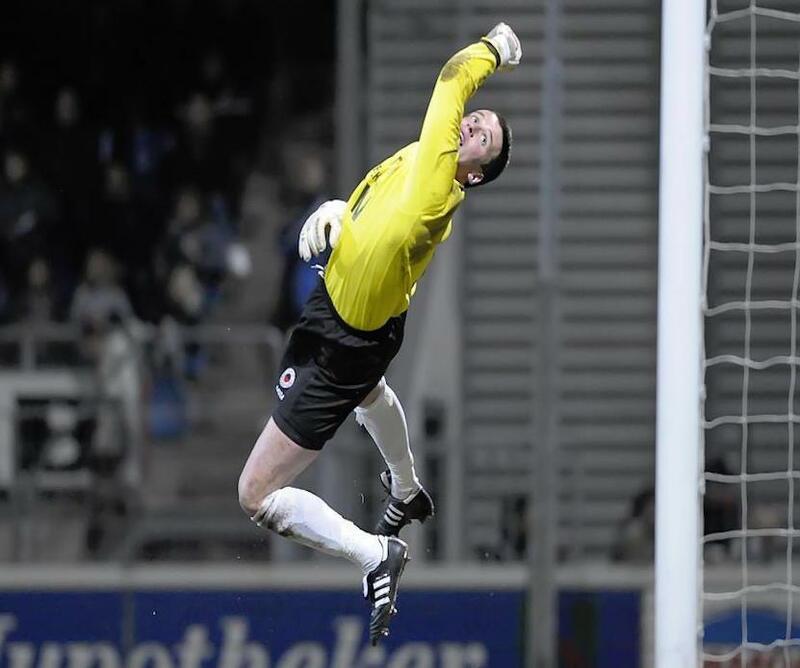 He played for three clubs in Holland over the course of his 14 year professional career. In 2009-2010 Dutchman Jorg van Nieuwenhuyzen and Canadian Andrew Ornoch were teammates at Eredivisie club Heracles Almelo, in Holland. As teammates they began to discover each other’s background and unique perspective on their own journey into professional football. Their common passion, work ethic, football experience, combined with their Dutch and North American network led them to identify the opportunity to expose Canadian youth to the excellence of Dutch youth football development. 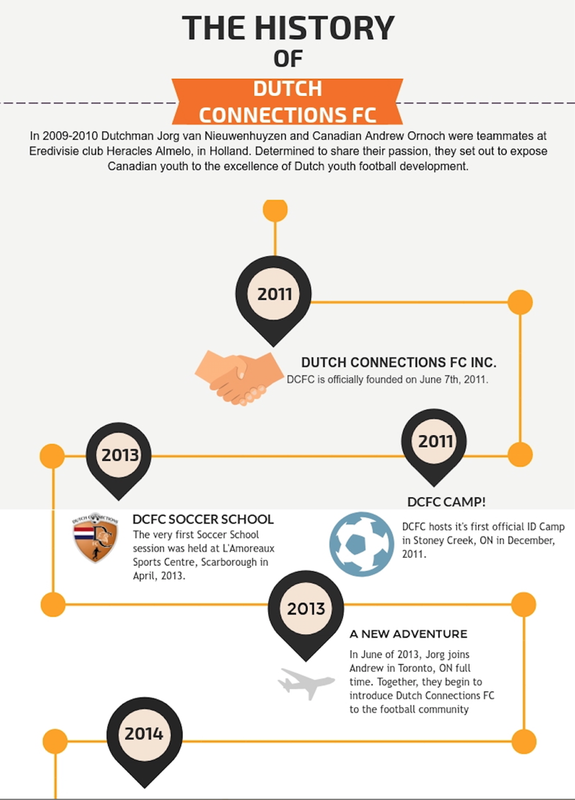 On June 7th 2011, they decided to officially found the company and named it Dutch Connections FC INC. The two founders, Jorg and Andrew, were still playing professional football in Holland during DCFC’s first years of business. As a result, DCFC was unable to commit to a full-time player development program or organize more camps in Canada. With Andrew Ornoch’s injury inducing early retirement from professional football in early 2013, and Jorg van Nieuwenhuyzen’s permanent move to Toronto in June 2013, the founders set out to gradually and strategically build Dutch Connections FC into a unique North American company. The vision was simple - Share our professional experience, discipline and passion with our community by providing supplementary technique training through our DCFC Soccer School training. 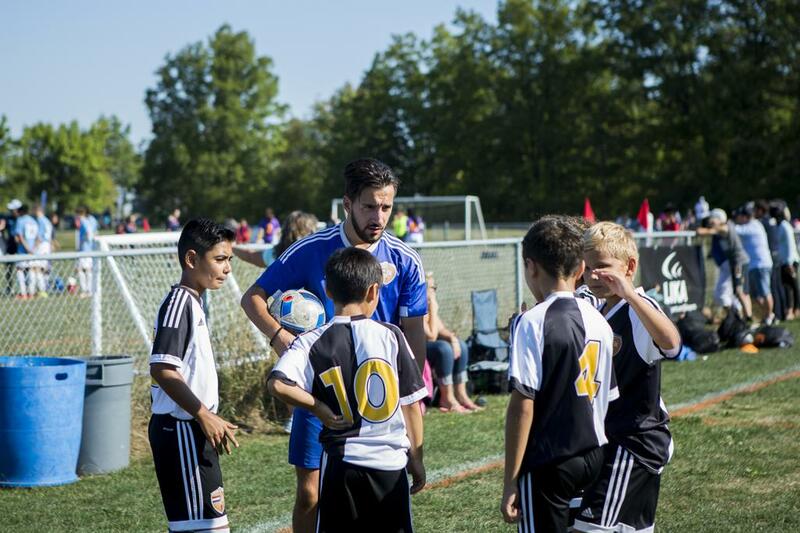 Presently, DCFC operates three soccer schools locations across the Greater Toronto Area (Toronto, Oshawa and Mississauga), DCFC Academy, daytime school programming at Everest Academy, Development and Identification camps throughout the year in the Toronto area. In early 2014 DCFC formed an exciting new partnership with the Dutch club Feyenoord Rotterdam. The cooperation introduced the Feyenoord Camps Canada in the Summer of 2014 and has had a successful Summer of camps every year since. 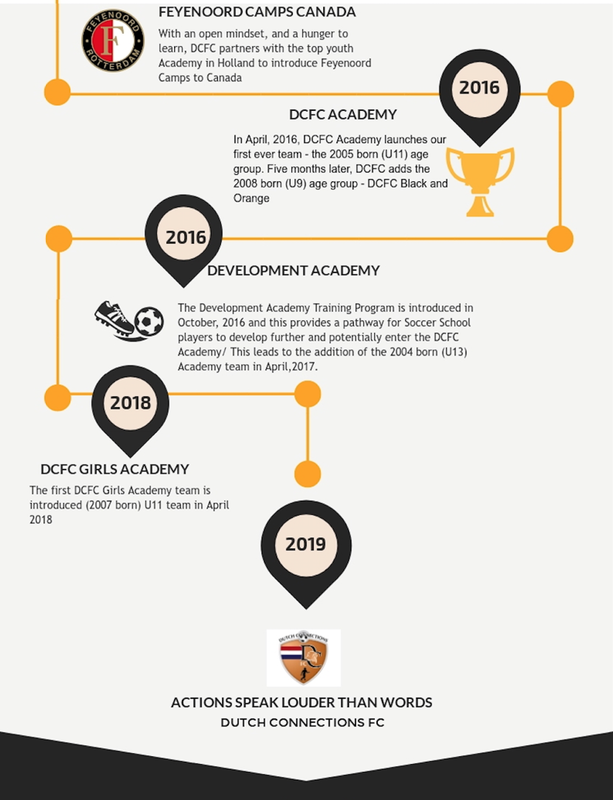 In 2016, DCFC launched its Academy program, that currently provides a full year round curriculum for U8-U15 players. The club has been steadily growing ever since! In 2018, Dutch Connections proudly introduced the first girls Academy team! By April 2019, the Academy program alone has now grown to almost 150 players and 11 teams and is a Ontario Recognized Academy (ORA). The DCFC Soccer School operates in 3 cities across the GTA and interacts with over 250 players on a weekly basis.